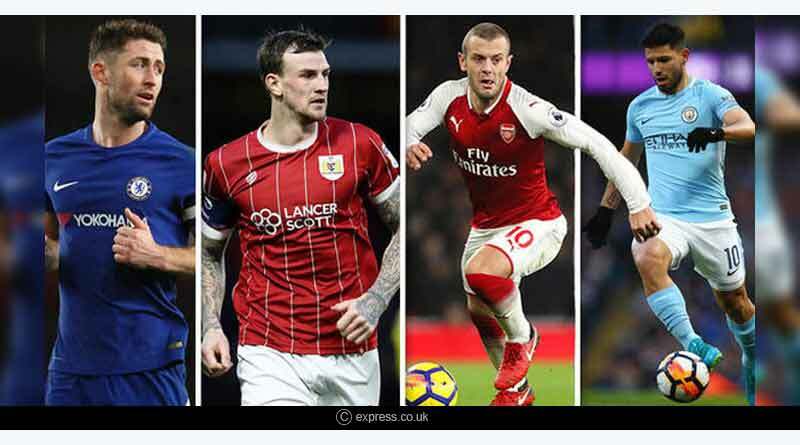 The first semi-final of the tournament starting on Wednesday, January 9, will see an exhibition match being played with London rivals and premier league heavyweights Chelsea and Tottenham taking on each other in what promises to be a must watch match. The following day will see defending champions Manchester City host the only non-premier league side left in the league in Burton. The return fixtures of the Carabao Cup will be contested after a gap of two weeks with Wednesday, 23rd January, selected as the date to conduct the second leg ties. Both matches will kick off at 1:15 am IST on the day. With both the first legged semi-finals being played on the home turf of premier league sides, VAR will be used in the matches to ensure that dubious and questionable decisions are done away with it. 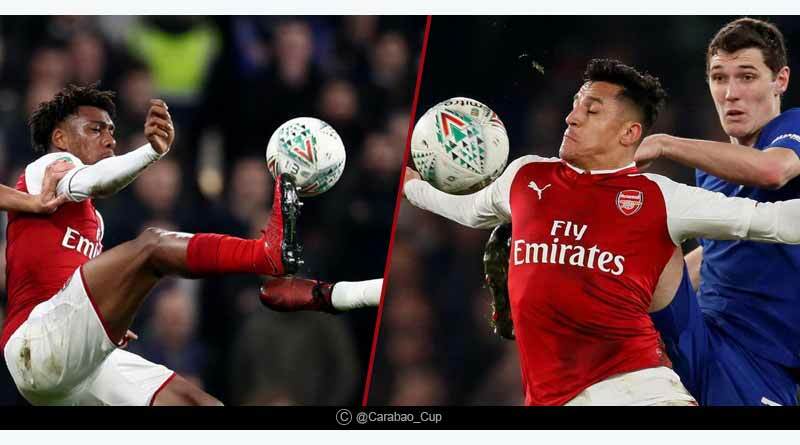 While extra time had been scrapped in the matches preceding the semi-finals for this edition of the Carabao Cup, there will still be extra time in the Semi-Finals. For the two-legged Semi-Finals, in case of a tied score at the end of the second leg, extra time will be played and if the scores are level even after the 30 minutes of extra time then the game will be determined on the basis of away goals. We take a look at both the fixtures and analyse which team holds the upper-hand going into the all-important clashes. Without a doubt the semi-finals standout fixture, this derby clash promises to be a vociferous affair, one that will see both the sides go at loggerheads against each other. 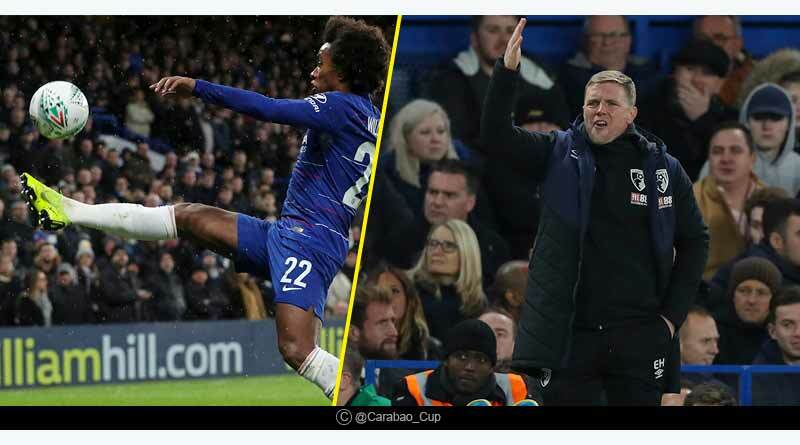 No side spares any expense to take home bragging rights when these two outfits face each other and this match is expected to be no different especially with a place in the final beckoning them with a favourable result ahead of the return leg at Stamford Bridge. Tottenham will go into the match having seen a real upturn in form recently. They have been in mesmerising touch since the last month, blowing past teams owing to their awe-inducing style of attacking play that has seen them ship goals past teams with ease. For Chelsea, the match is one that they’ll have to approach with caution. While the quality they possess is unmatched, they’ve been guilty of blowing hot and cold recently with a lack of goals coming back to haunt them in matches. With their main wingers Willian and Pedro still injured and striker Giroud out as well, the onus will lie on their star man Eden Hazard to put in an ominous performance and guide his side to a win in this encounter. This one is more straightforward to call with City expected to see past Burton with ease. While Burton has to be given huge credit for making it this far in the tournament, it looks ever likely that this will be the end of their run. City has come back in form recently and for Burton, it will be extremely difficult to sustain the relentless and ruthless City attack which can trounce the best of the sides when it wishes to. 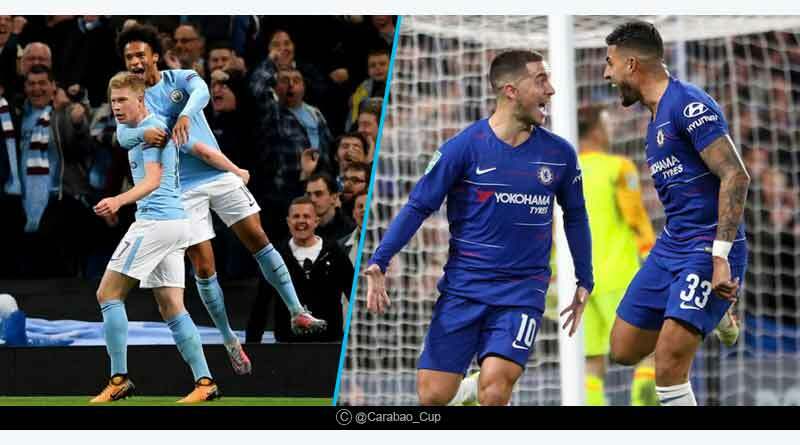 For more articles like Carabao Cup Semi Finals Indian Schedule, do Subscribe to our newsletter and follow us on Facebook, Twitter, and Google+.